It's a free scatter MT6580 MTK FRP unlock file for itel A32F android 8.1. Itel_A32F_MT6580_20180621_8.1.0, PRELOADER "preloader_a32f.bin" version: MTK_BLOADER_INFO_v21. 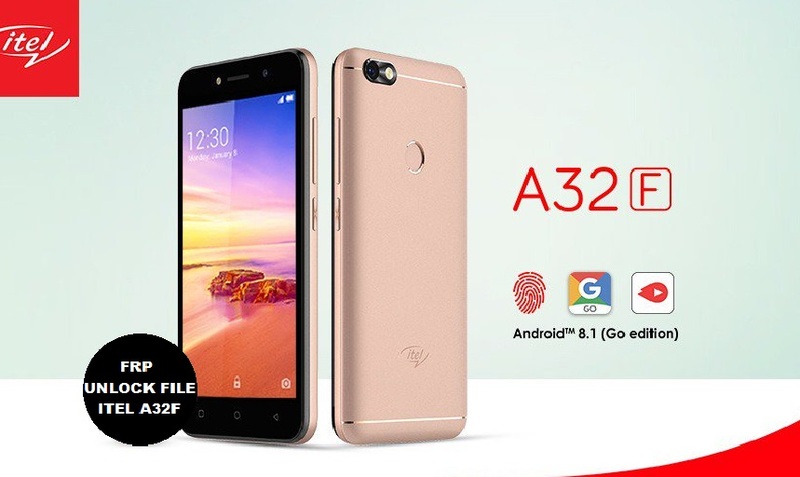 How to remove ITEL A32F FRP lock? First of all, Disable the antivirus, defender and all other virus protection programs inside your computer, Before starting this process, Stop the antivirus because it's very important. 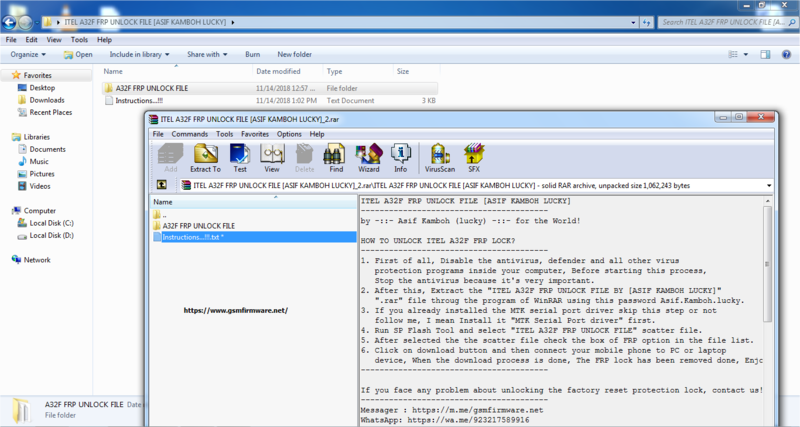 After this, Extract the "ITEL A32F FRP UNLOCK FILE BY [ASIF KAMBOH LUCKY]" ".rar" file throug the program of WinRAR using this password Asif.Kamboh.lucky. If you already installed the MTK serial port driver skip this step or not follow me, I mean Install it "MTK Serial Port driver" first. Run SP Flash Tool and select "ITEL A32F FRP UNLOCK FILE" scatter file. 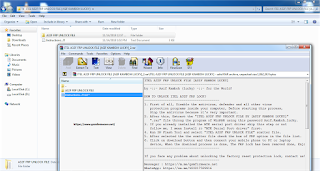 After selected the the scatter file check the box of FRP option in the files list. Click on download button and turn off you cell phone, remove battery, insert back and then connect your mobile to PC or laptop device, When the download process is done, The FRP lock has been removed done, Enjoy...!